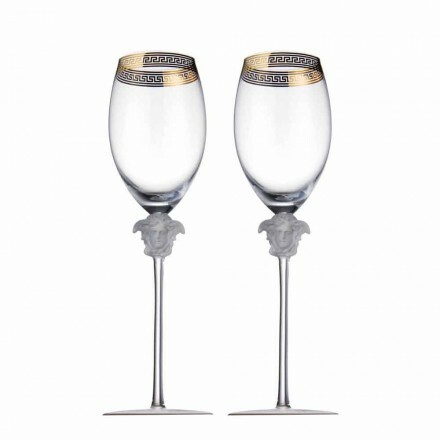 Glamour, elegance and sophistication for your table! Rosenthal Versace Medusa Blue luxury porcelain dinner set, 22 pcs. Rosenthal Versace Medusa Blue luxury porcelain tea set, 21 pcs. Rosenthal Versace Medusa Rosso luxury porcelain dinner set, 22 pcs. Rosenthal Versace Medusa Rosso luxury porcelain dinner set, 16 pcs. Rosenthal Versace Medusa Blue luxury porcelain dinner set, 16 pcs. 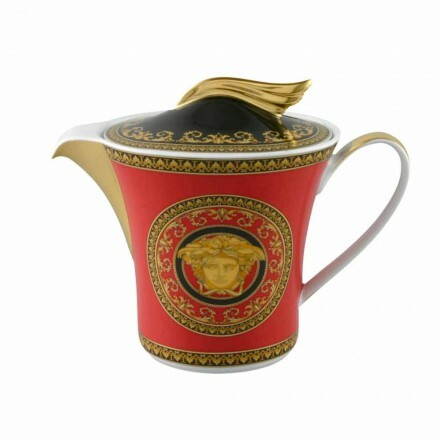 Rosenthal Versace Medusa Rosso luxury porcelain tea set, 21 pcs. 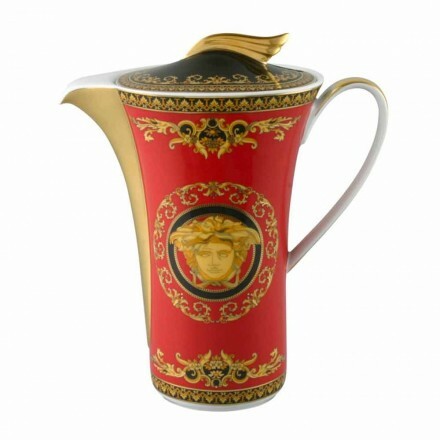 Rosenthal Versace Medusa Rosso luxury porcelain coffee set, 21 pcs. Rosenthal Versace Medusa Blue luxury porcelain coffee set, 21 pcs. 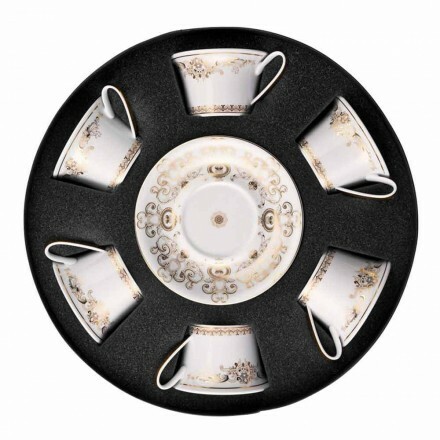 Rosenthal Versace Medusa Gala Gold tea cup with saucer, set of 6 pcs. Rosenthal Versace Medusa Gala tea cup with saucer, set of 6 pcs. 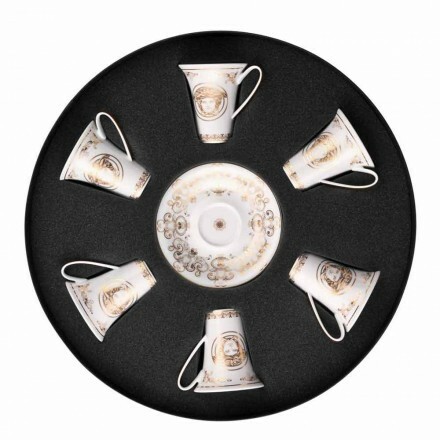 Rosenthal Versace Medusa Gala Espresso cup with saucer, set of 6 pcs. 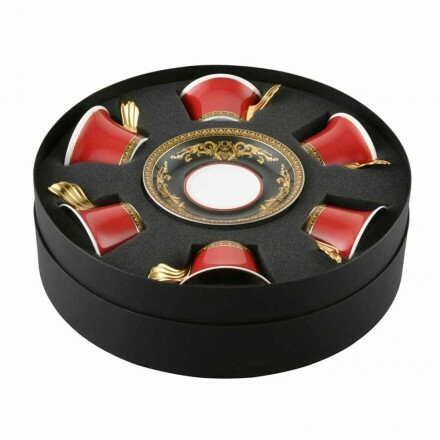 If you love luxury, elegance and refinement, you'll love this section dedicated to all those designer products necessary to prepare a table that reflects your desires. No detail will be overlooked, keywords are beauty and style to make your tables unique and precious. 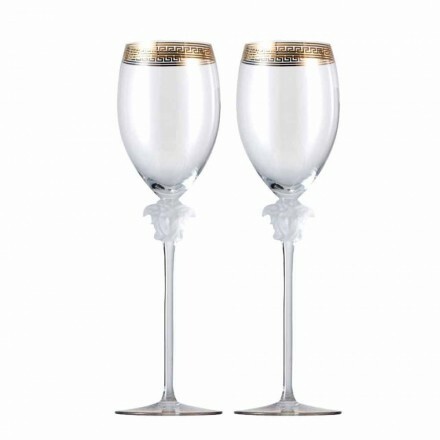 We searched for you the best and we found it in the collection Versace Home porcelain and crystals. 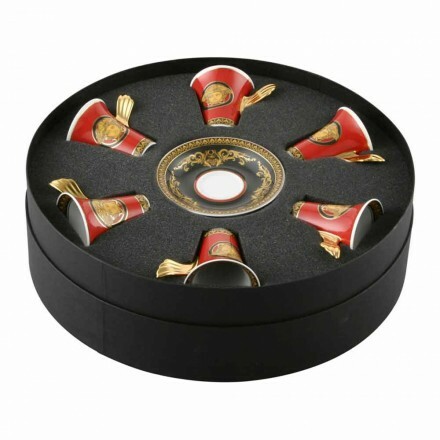 The first collection is dominated by the colors red/gold and blue/gold, colors always synonymous with royalty decorate with elegance and sophistication the table service (plates, tureens, oven), tea services and the magnificent set with coffee cups. 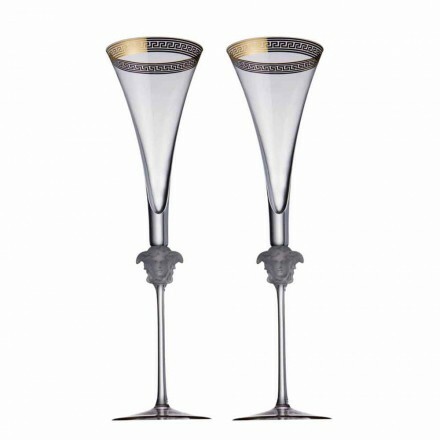 In the second collection instead of the edges gilded adorn chalices for wine, flute for champagne and jugs to hold wine and bitters. Finally, to complete this wonderful table can not miss the curtlery signed Rosenthal Sambonet. Cutlery with different styles: the bon-ton, classic and with a touch of modernity to satisfy the desires of all of you. Different styles, but united by the beauty and brightness that emanates from every single fork, knife or spoon of the service. 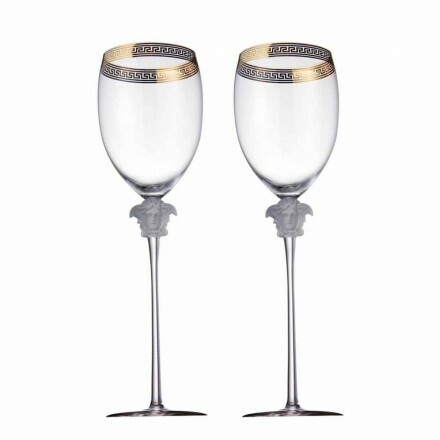 Discover how to make your table a true gem of luxury!